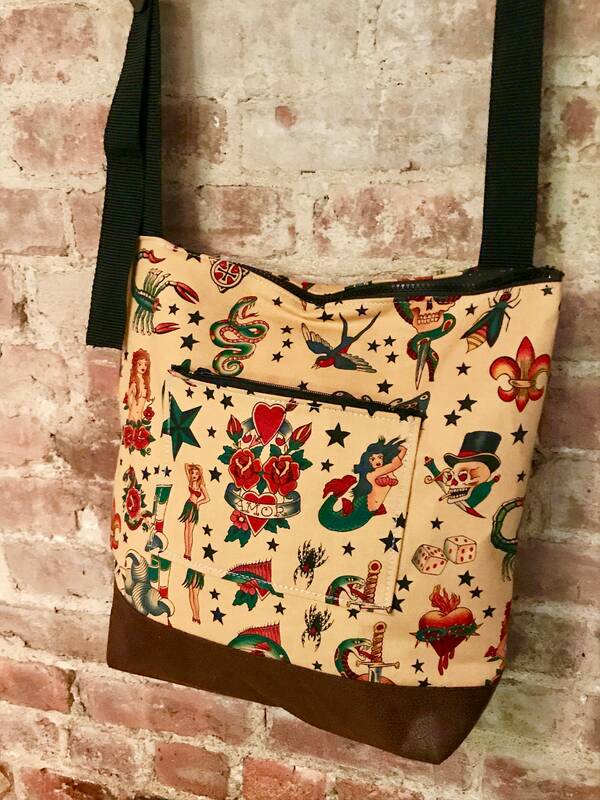 Our Sailor Jerry Tattoo Print Market bag features a zippered outside pocket, one interior pocket and an adjustable black 1.5" webbing strap. 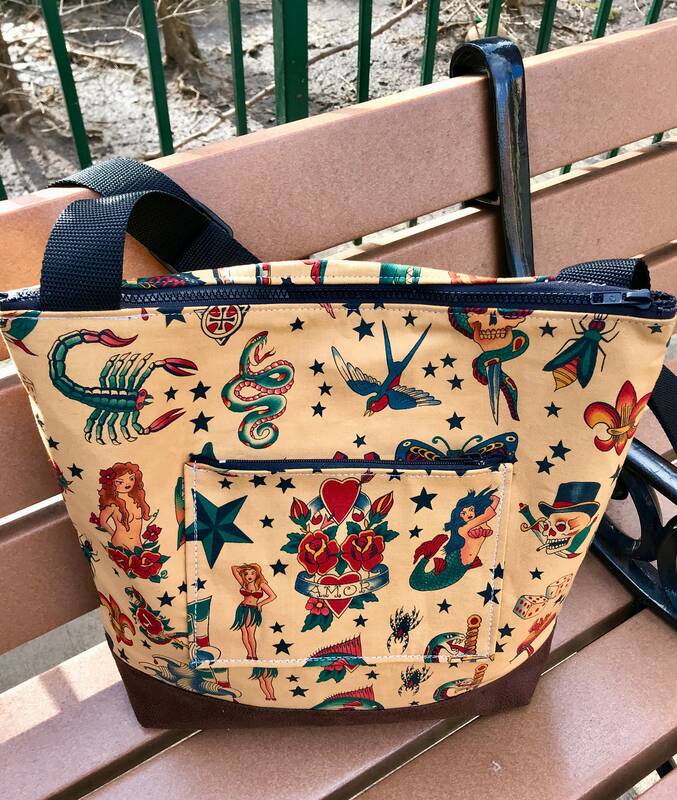 The interior of the bag is lined with a water repellant lightweight canvas. This is a sturdy lightweight design that fits comfortable across the body or slung over the shoulder. 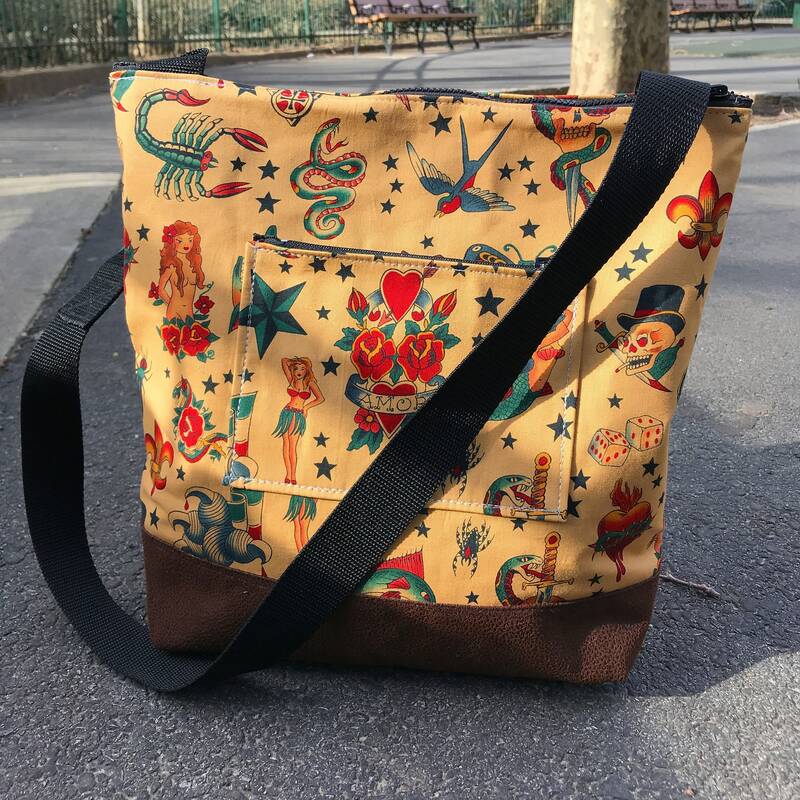 The bottom of the bag is lined with a faux leather fabric for style and extra durability.